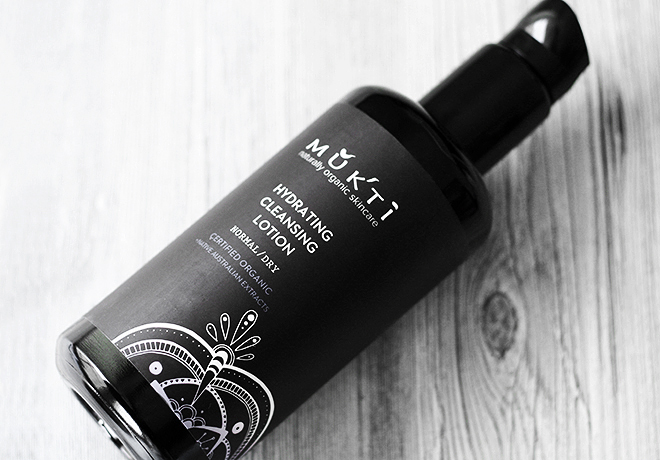 Mukti Organics was one of the first Australian certified organic skincare brands, created with a purpose of offering exceptionally high-quality natural products that would have a lasting effect on the skin. Not only its concept sounds amazing, but Mukti Organics is loved by many fans in Australia and is achieving more and more admirers beyond Australian borders. I recently had the opportunity to try three great products from Mukti Organics skincare line for normal and dry skin type: the Hydrating Cleansing Lotion, the Rose Blossom Hydrating Mist Toner, and the Hydrating Moisturizer. A packaging is the first thing you see when considering a product, and Mukti Organics has a remarkably elegant look. Also, Mukti is a highly ethical brand with all of its products vegan, cruelty-free, and free of any animal products or by-products (including honey and beeswax). To put it shorter, it’s simply a brand that you can always trust and rely on. I’ll just go ahead and say that this cleanser is my favorite product from the whole bunch. If your skin is normal or leaning towards dry and you are looking for a gentle, mild-scented, organic, and luxurious cream cleanser, this is the one you should check out. 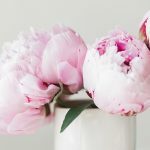 Its price indicates that it is a luxury product (just look at the exotic ingredient list, and you’ll understand why), however, sometimes it feels good to splurge on something nice that would benefit the skin big time. The bottle is huge, and since I only need a rather small amount of the cleanser for my whole face, I think it’s going to last me a while. One of the things I like the most about this cleanser is that despite the fact that it gives a lot of creamy lather instead of foam, it cleans the skin and takes off makeup like a champion. I have a hard time removing mascara with cream cleansers, so this one wasn’t an exception, but overall, it performed better than most. It also made my skin clean and very comfortable. Aloe Barbadensis Leaf Juice*, Macadamia Ternifolia (Macadamia) Nut Oil*, Butyrospermum Parkii (Shea Nut) Butter*, Cocos Nucifera (Coconut) Oil*, Terminalia Ferdinandiana (Kakadu Plum) & Tasmania Lanceolata (Mountain Pepper Leaf) Extracts*, Cetearyl Glucoside (Vegetarian), Olea Europaea (Olive) Oil*, Theobroma Cacao (Cocoa) Butter*, Glycerin (Vegetarian)*, Phenethylalcohol (Natural)*. Essential Oils of Lavandula Angustifolia (Lavender)*, Citrus Aurantium (Sweet Orange)*, Cedrus Atlantica (Cedarwood)*, Cymbopogon Martinii (Palmarosa)*, Vanilla Planifolia (Vanilla) & Rosa Centifolia (Rose) Absolute. *Certified organic by the Organic Food Chain (OFC). Organically produced 97% of product. Naturally occurring constituents in essential oils: cinnamal, citral, citronellol, eugenol, farnesol, geraniol, limonene, linalool. Vegan. Hydrating Cleansing Lotion goes for $54.95/£43 for 200ml. Mukti Organics has two toning products in its range: the Neroli Blossom Balancing Mist for oily skin type and the Rose Blossom Hydrating Mist Toner for normal and dry skin type. I haven’t tried Neroli Toner, but according to a description, this Rose Blossom toner is more gentle and hydrating. The scent is a truly uplifting herbal bouquet with a hint of citrus. The mist toner contains exotic ingredients such as Kakadu plum, kangaroo paw flower, and snow flower as well as good old rose, lavender, and citrus. Rosa Centifolia (Rose) Hydrosol*, Aloe Barbadensis Leaf Juice*, Terminalia Ferdinandiana (Kakadu Plum), Anigozanthos Flavidus (Kangaroo Paw Flower) & Melaleuca Alternifolia (Snowflower), Phenethyl Alcohol (Natural), Rosa Centifolia (Rose), Geranium Maculatum (Geranium), Citrus Amara (Petitgrain), Lavandula Angustifolia (Lavender) & Citrus Aurantium Dulcis (Sweet Orange)*. *Certified organic by the Organic Food Chain (OFC). Organically produced 96% of product. Naturally occurring constituents in essential oils: cinnamal, citral, citronellol, eugenol, farnesol, geraniol, limonene, linalool. Vegan. Rose Blossom Hydrating Mist Toner goes for $52.95/£42 for 100ml. Described as a smoothing, renewing and hydrating moisturizer for normal and dry skin types. 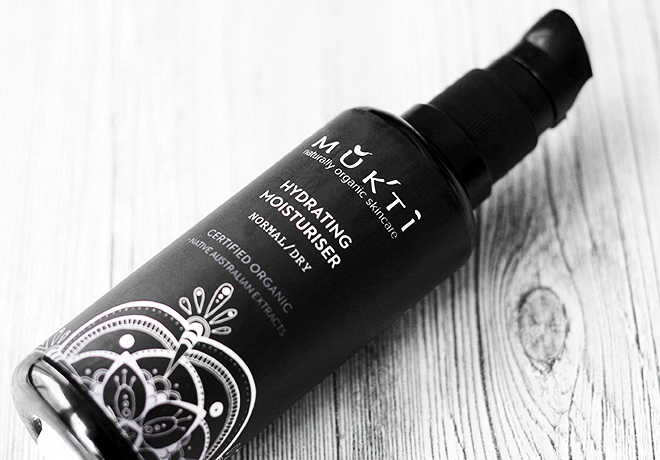 Like other Mukti Organics products, this moisturizer also contains healing and regenerating Australian plant extracts. Its scent is similar to the one of a cleanser but is a little bit stronger. Not too strong, though. This is not your typical moisturizer for dry skin. It’s so much more! The reason why this moisturizer stands out from many other creams for dry skin is that it gives a matte finish. This is a huge bonus because many moisturizers leave the skin soft and lovely, but not many leave it completely matte. I can easily apply my makeup without worrying about dry patches. However, if your skin is extremely dry, this might not be the product for you. Aloe Barbadensis Leaf Juice*, Butyrospermum Parkii (Shea Nut) Butter*, Macadamia Ternifolia (Macadamia) Nut Oil*, Cocos Nucifera (Coconut) Oil*, Terminalia Ferdinandiana (Kakadu Plum), Banksia (Banksia) & Brachychiton Acerifolius (Flame Tree) Extracts*, Cetearyl Glucoside (Vegetarian), Punica Granatum (Pomegranate), Borago Officinalis (Borage), Oenothera Biennis (Evening Primrose), Rosa Canina (Rosehip), Aleurites Moluccana (Kukui Nut) & Daucus Carota (Carrot) Seed Oils*, Glycerin (Vegetarian)*, Phenethylalcohol (Natural)*, Tocopherol (Vitamin E), Sclerotium Gum. Essential Oils of Rosa Centifolia (Rose), Geranium Maculatum (Geranium), Citrus Amara (Petitgrain) & Citrus Aurantium Dulcis (Sweet Orange)*, Rosmarinus Officinalis (Rosemary) Extract. *Certified organic by the Organic Food Chain (OFC). Organically produced 96% of product. Naturally occurring in essential oils: cinnamal, citral, citronellol. eugenol, farnesol, geraniol limonene, linalool. Vegan. Hydrating Moisturizer goes for $54.95/£43 for 50ml. 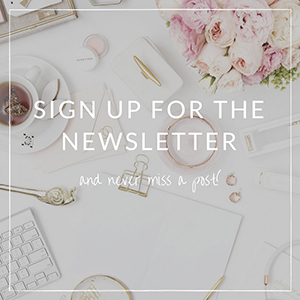 Have you tried about Mukti Organics? Which product is your favorite? I’ve never tried Mukti products but after this I may just have to. Also, how many good things in the world of green skincare come from Australia?! So many amazing products seem to come from there. You’re so right! I can think of way more than a few natural beauty brands from that lovely country. I heard about this brand from Sarita first when she was recommending their tinted moisturizer. They have a beautiful aesthetic and the ingredients seem lovely. I’ll have to check them out! Totally agree with you. 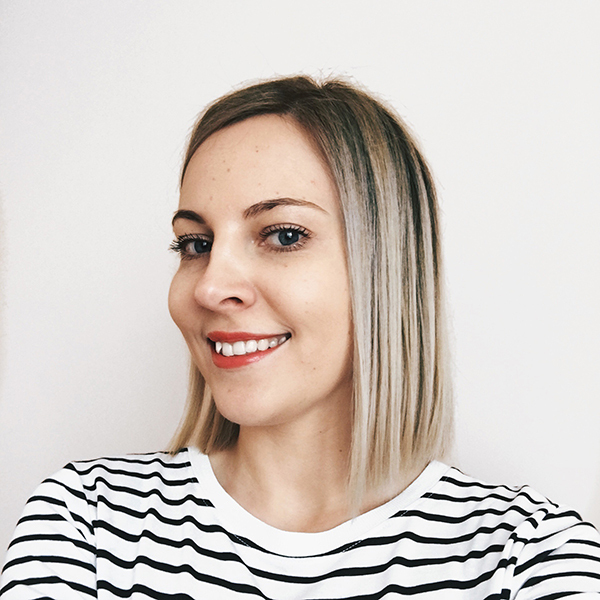 I read the review on Sarita’s blog before too, and that tinted moisturizer seems like another must-try product from the range.